We have to admit – Chanel keeps surprising us. It’s not the first-time that we have seen a Boy Bag that’s designed with Braid Around the flap. For example; remember the Boy Chevron Braid Around Chain Bag? 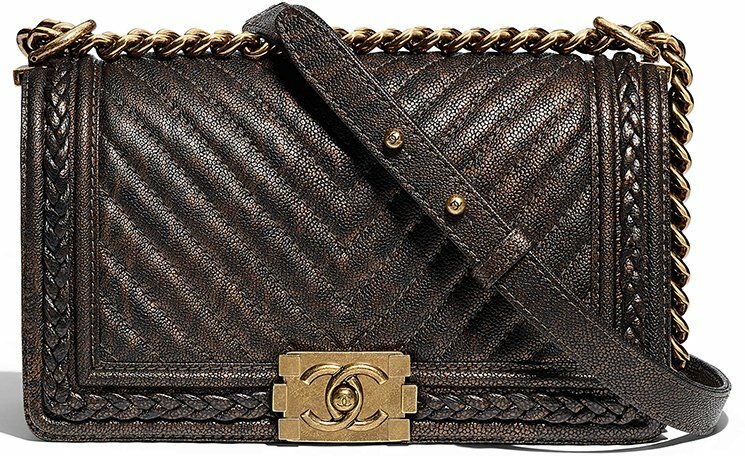 Or the Boy Chanel Braided Jacket Bag? 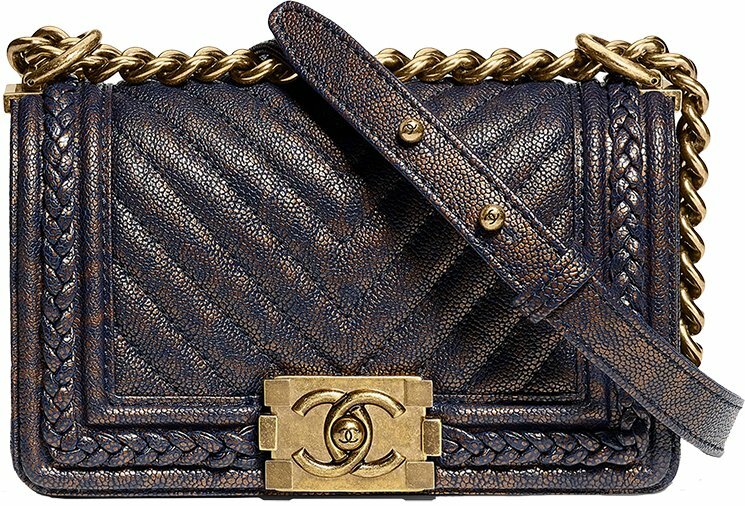 Or perhaps even the Boy Chanel Braided Chain WOC? 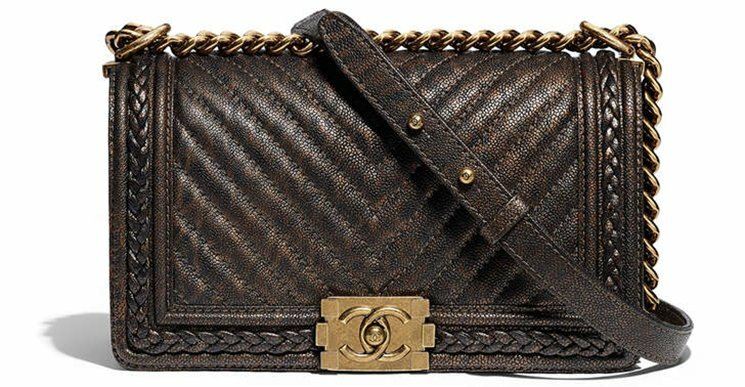 However, Chanel does know how to use the same concept and present it differently. 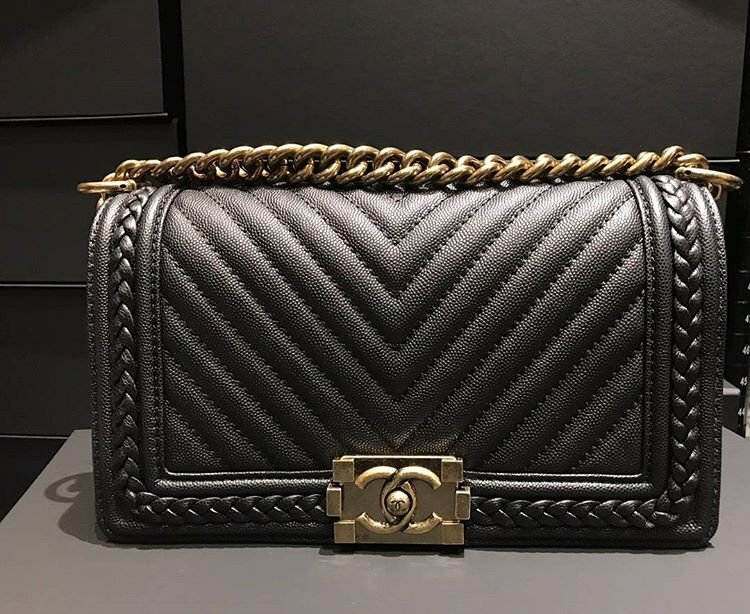 For the Cruise 2018 Collection, the Chanel Boy Chevron Braid Around Bag was born. 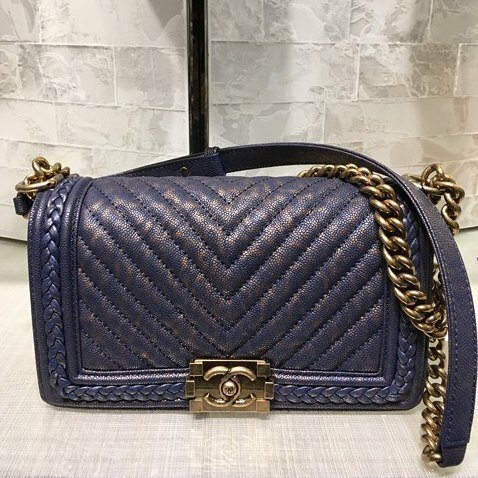 This bag looks much sophisticated than the classic edition, but perhaps it’s the exciting thing you need for your wardrobe? 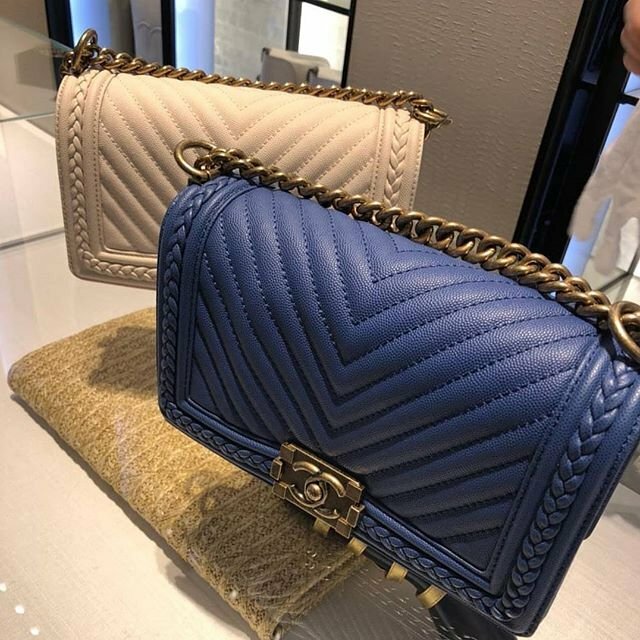 The Boy Chevron Braid Around Flap Bag comes in two ways; you can carry your version with patinated calfskin leather or in normal non-shiny leather. The patinated calfskin refers to patina, which is a thin layer that forms on copper alloys like bronze. 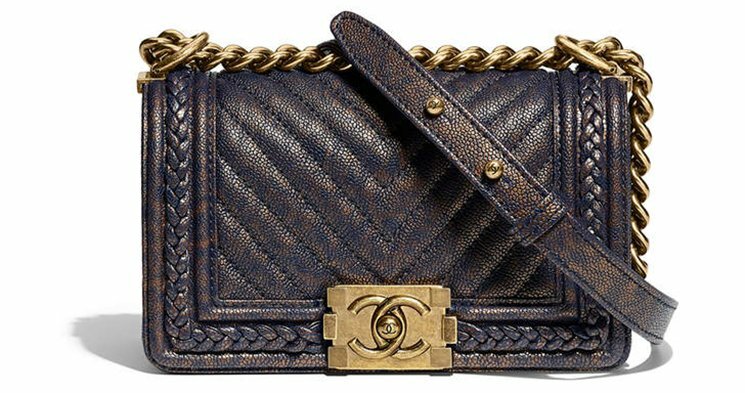 This same effect is seen on the patinated calfskin of the new Boy Bags as the body shines like copper. If you don’t like the patinated calfskin, you can always opt-in for another choice, which is basic leather without the shine. As you can see, it’s the same design but looks less sophisticated and much more like the classic versions. These Boy Bags are braided around the flap. 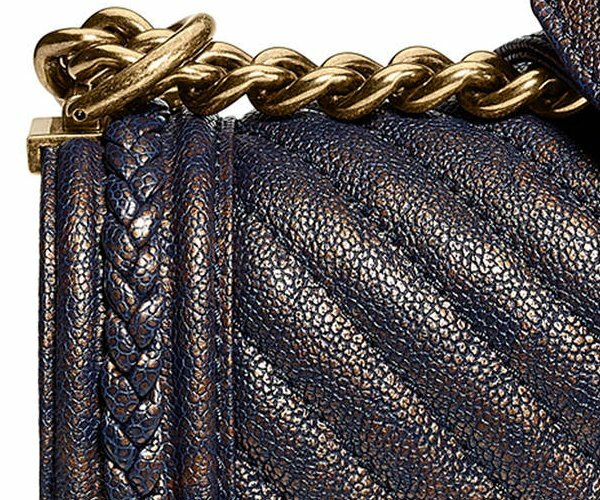 If you choose the normal non-shiny leather, then the braid is colored the same as the body of the bag. 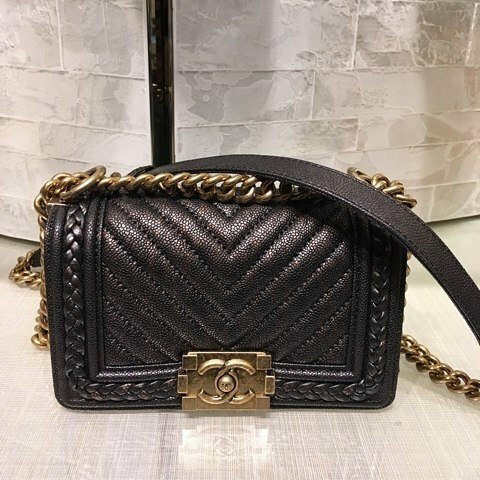 The center is crafted with the iconic Boy Clasp and it comes with the boyish large chain for shoulder and cross body carry. The interior of this Boy Bag is made with one smooth main compartment to store your personal belongings. There is also a zip pocket inside.